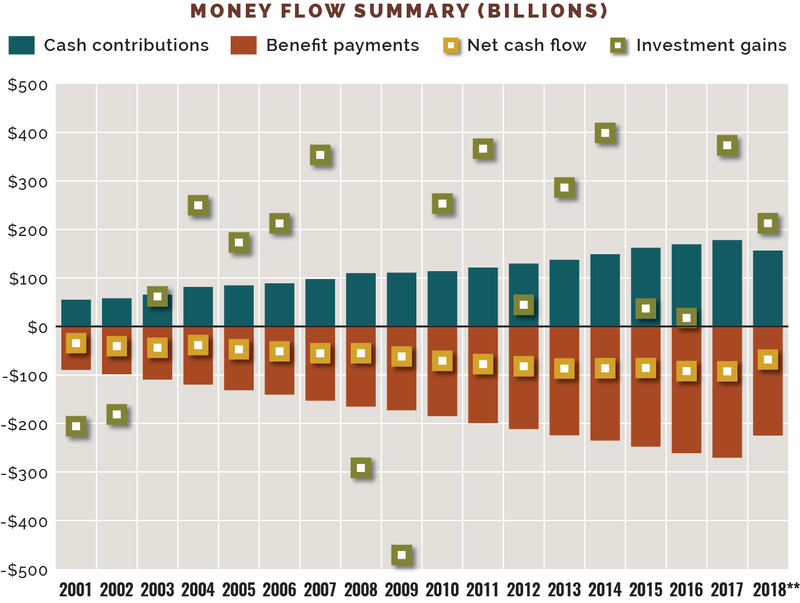 The public pension plan industry looks different than it did 10 years ago as the effects of the global financial crisis remain. The combination of the market's decline and central banks' monetary policies that kept rates low for an unprecedented duration forced many plans to cope with managing poorer-funded plans. 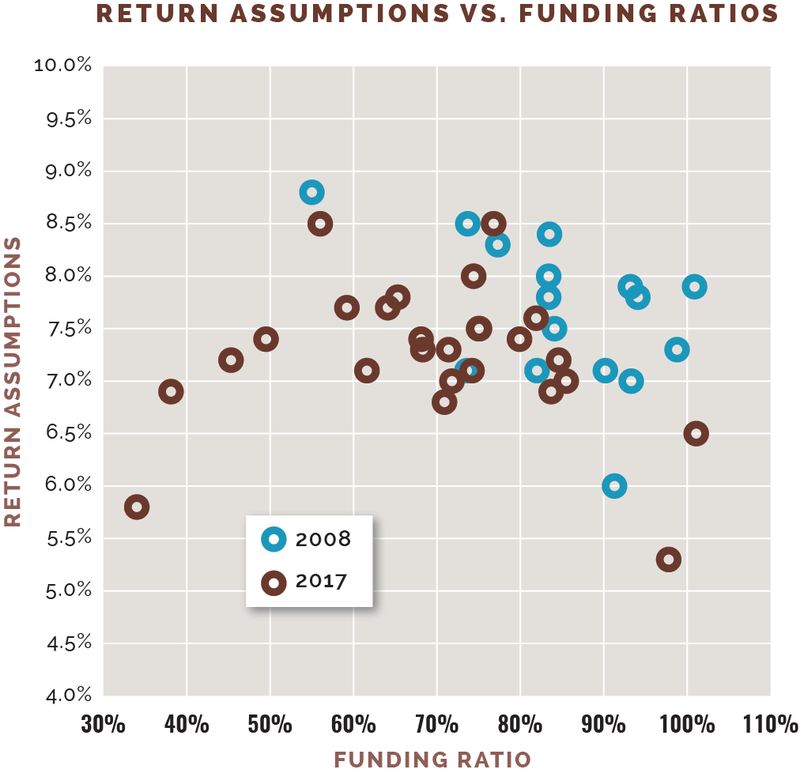 Different strokes: Public pension plan funding ratios were more dispersed at the end of 2017 than they were in 2008 and show a less-direct relationship between return assumptions and asset-to-liability ratios. Volatile income source: Investment gains have historically been about two-thirds of a pension plan's annual income. Those returns, however, come with risk and can vary widely from year to year. Contributions alone have been unable to keep pace with benefit payments. Worsening results: A simulation of 10,000 portfolios* based on rolling five-year returns over the 10 years ended March 2009 and March 2019 show much a lower frequency of achieving higher returns in the latter time period. 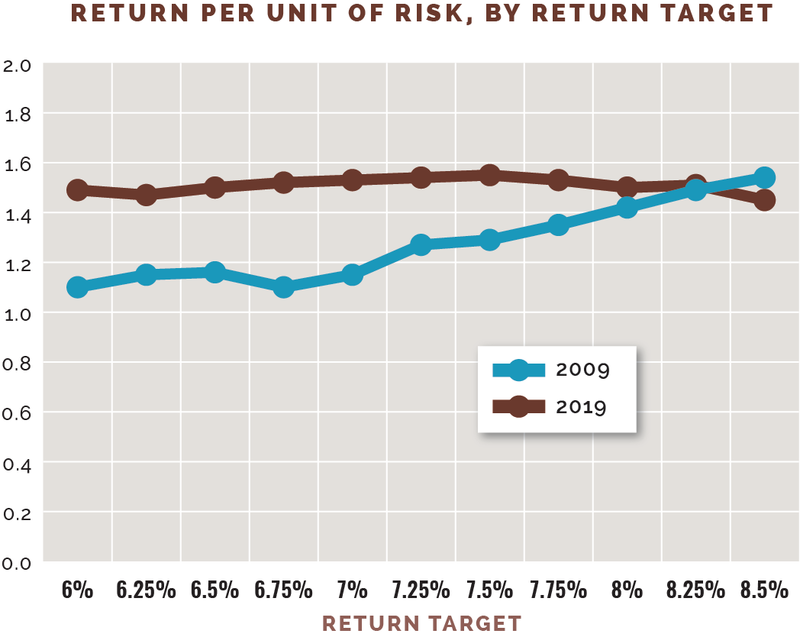 No reward for risk: Returns per unit of risk were flat across the 2019 simulated portfolios and declined slightly at the higher levels of risk. 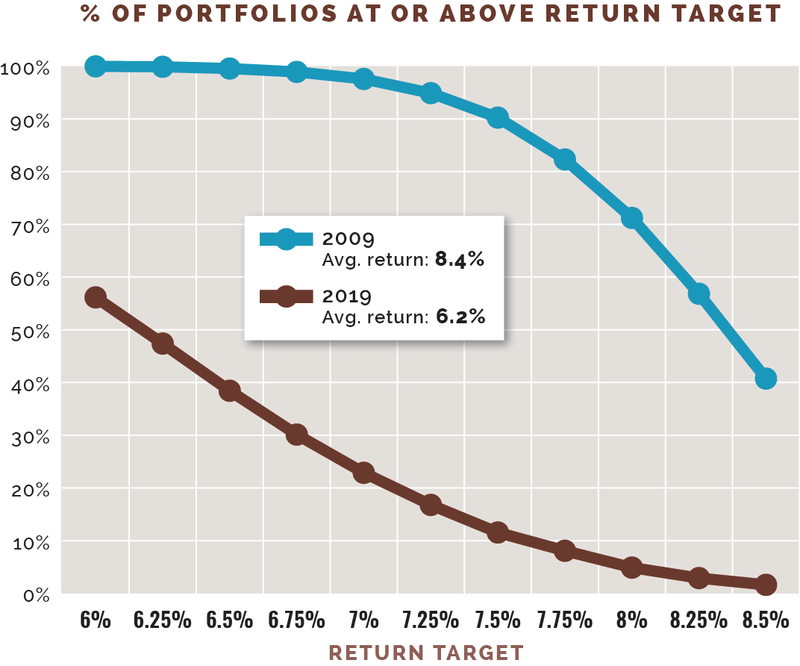 The risk/return profiles of the portfolios ended March 2009 suggest returns improved at a faster rate than risk.